Dog is said to be man’s best friend, but sometimes they do things that can just tick you off, but at the same time, you have to sit back and laugh. Take the case of this Glock 19: I don’t know the back story of how the dog got a hold of it (or if it was loaded or not), but regardless of the details, the owner’s dog decided he wanted to get into firearms. I guess one problem with “plastic guns” is that they are not a match for a playful dog. 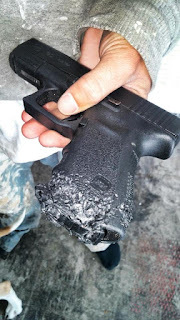 The whole bottom of the grip of this Glock 19 was replaced with a custom stippling job by some expertly trained canine teeth. Unfortunately, this isn’t exactly what the owner was looking for. To remedy the situation, he took the gun to Southern Guns, LLC located in Longwood, Florida to be fixed. I personally love this shop. Great people, great prices, great service. 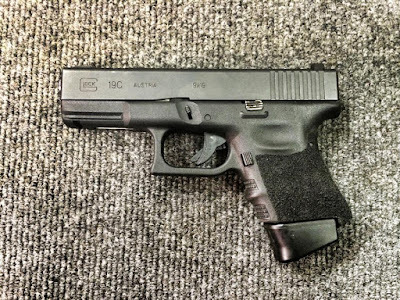 Now, the Glock had to undergo surgery to be saved, and it was told that I would never be the size of a Glock 19 again. It was cut down to fit Glock 26 magazines. 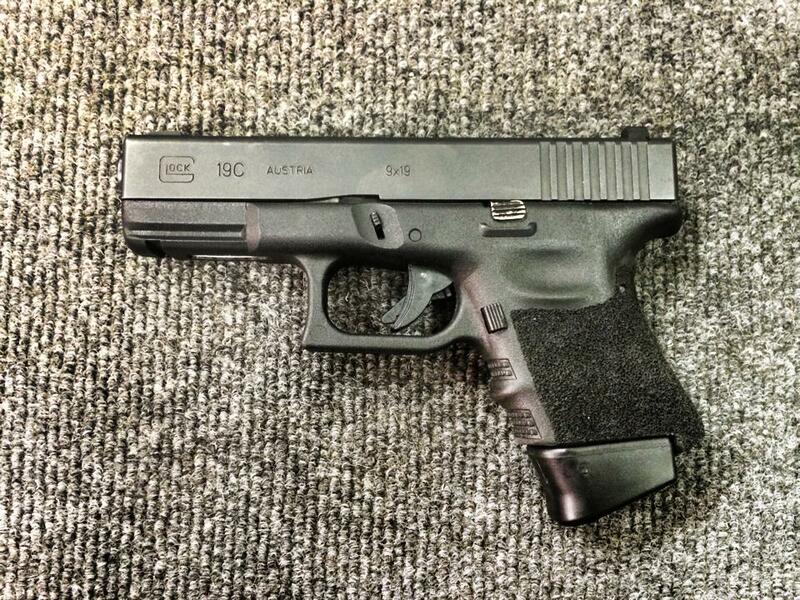 It is effectively now a Glock 19/26. A (proper) custom stipple job was done to finish it all up. I am thinking the owner should satisfy his dog’s hunger for firearms and get him one of those blue training guns. What do you think? If you have any stories like this, let me know in the comments below. Want to hear about more stories like this? Don’t forget to check us on Facebook, Twitter, and YouTube! Thanks for stopping by! im glad im not the only one this has happened to.